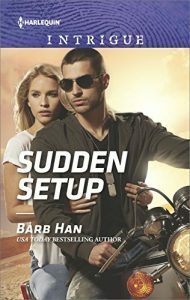 USA TODAY Bestselling Author Barb Han lives in Texas-her true north-with her adventurous family, a spunky golden retriever/poodle mix, and too many books (if there is such a thing). She loves romance novels, thriller movies, and cooking. Her favorite hobbies include hiking, swimming and skiing. 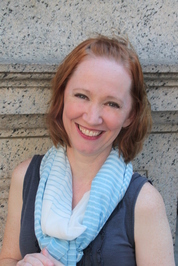 Sign up for Barb's newsletter or to receive a postcard for her new releases at www.BarbHan.com. We’d love your help. Let us know what’s wrong with this preview of Stalked by Elizabeth Heiter.
" Harlequin Books wrote: "Sarah wrote: "OH! Are you in KY? I heard the flooding there was awful. I'm glad it was only your basement. It could have been Harlequin Books wrote: "Sarah wrote: "OH! Are you in KY? I heard the flooding there was awful. I'm glad it was only your basement. It could have been SO much worse--the tree that hit our house bounced off one of our trees..."
Sorry to hear about the flooding! Hope everyone's okay! ...more "
We’d love your help. Let us know what’s wrong with this preview of Pinups and Possibilities by Melinda Di Lorenzo. We’d love your help. Let us know what’s wrong with this preview of Call Me Tiffany by Kris Rafferty. Hi Richard. Thanks so much for your note. I'm looking forward to learning more about the type of books you write. Do you have a Web site? Take care. It's a pleasure to meet you, Barb. And congratulations on your publishing offer from Wild Rose. Enjoy the moment!